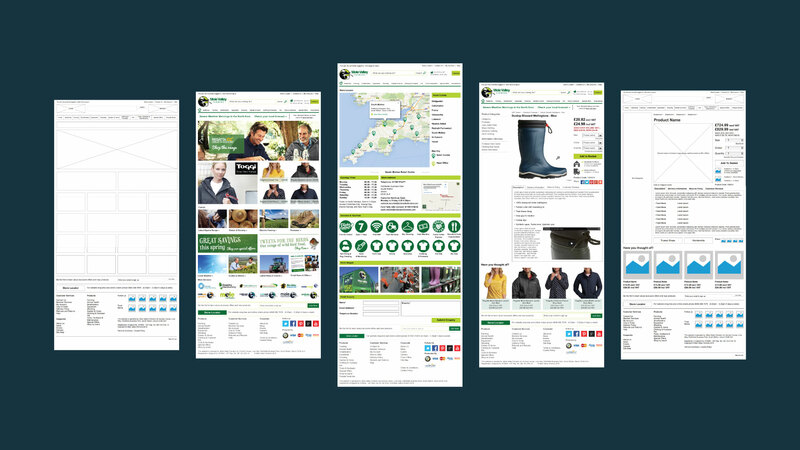 National retailer Mole Valley Farmers needed to update their website design so that it would be more user friendly and showcase their wide range of products in the best light whilst keeping the great sense of community on which the Mole Valley audience depend. 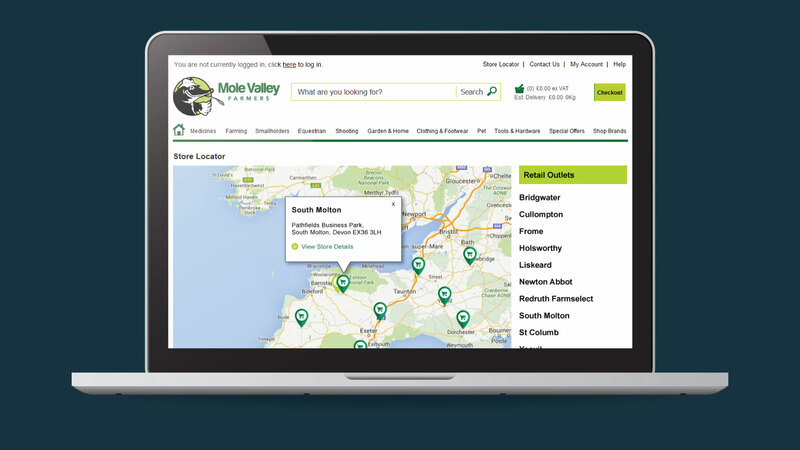 Working from their head office in North Devon I started off the process by identifying the needs of Mole Valley Farmers audience. In conclusion we found that in the past the website had been as much a community based information site as an ecommerce website. 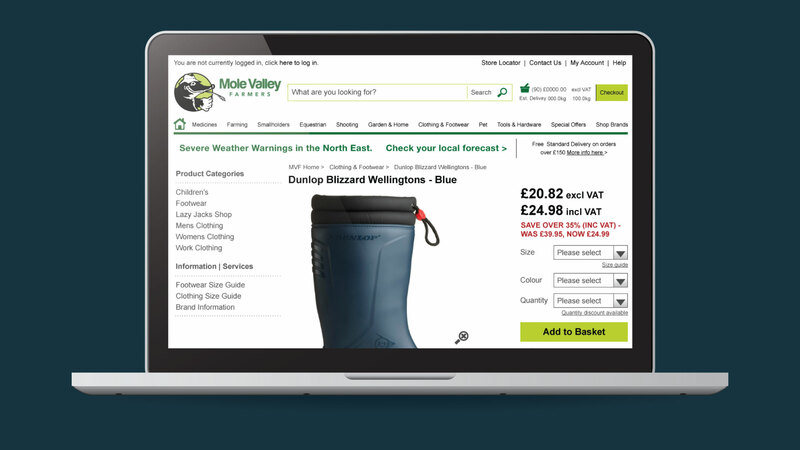 Customers needed easy routes to find and buy products through up to date mechanisms like click and collect. First of all we developed customer personas before moving on to create wire frames for key pages. After which I added several creative treatments for selection. 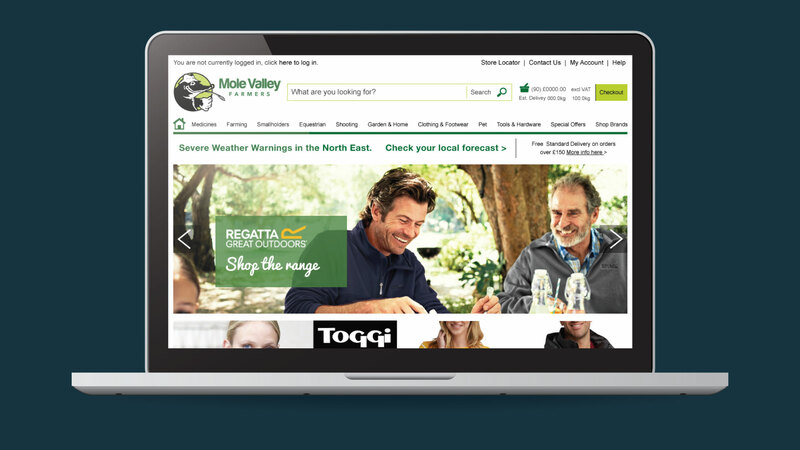 Working closely with Mole Valleys website development agency along the way to deploy CSS and train the digital marketing team in using the new format. Addition of email subscription pop up saw a huge increase in the email database. Increase in on line orders. Decrease in calls to customer services as customers could better convert online.